FORT DRUM, N.Y. -- Soldiers from 10th Mountain Division were some of the first outside of training units to test the Squad Advanced Marksmanship-Trainer system 20-21 March, 2019. "It was a lot different from what I was expecting," said Pfc. Sean Jacobs. "I thought it was going to be an expanded EST [Engagement Skills Trainer], but it turned out to be something entirely different. 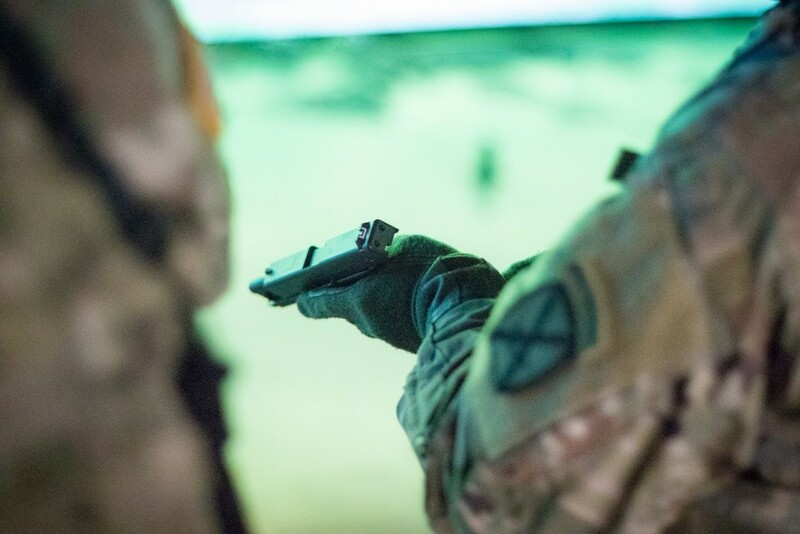 This new program delves into more squad tactics and is not a static engagement." 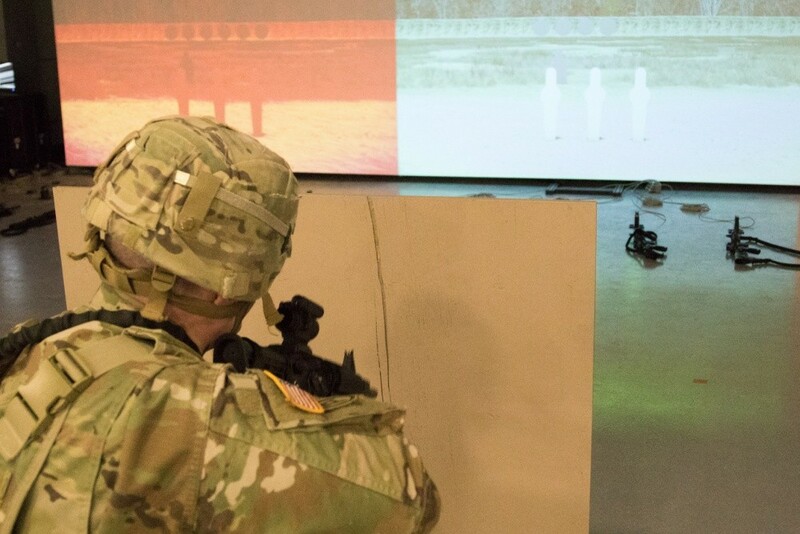 While conducting squad movements, Soldiers could maneuver through physical obstacles while reacting to an on-screen virtual simulation. 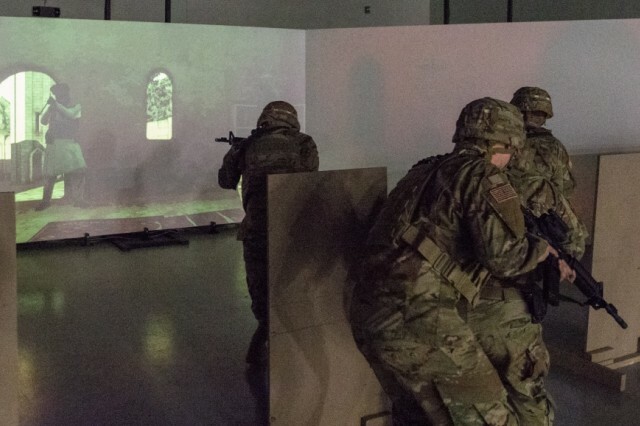 "We weren't tethered to anything like we are at an EST, so we could move freely when doing squad-level drills with a wall-sized screen," said Sgt. Micah Yaklich. "The weapons, and even the magazines, had the same weight and feel of our regular systems." 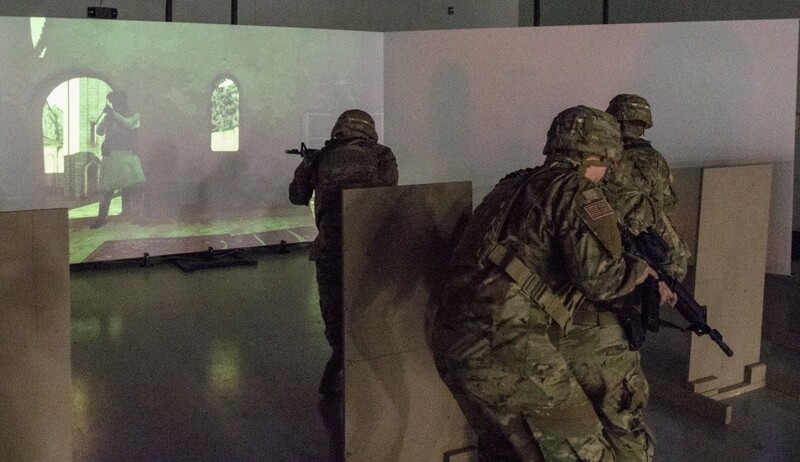 Using the system's ability to simulate different training scenarios, such as room-clearing, the squads that participated were able to react to the on-screen avatars controlled by a system-operator nearby. 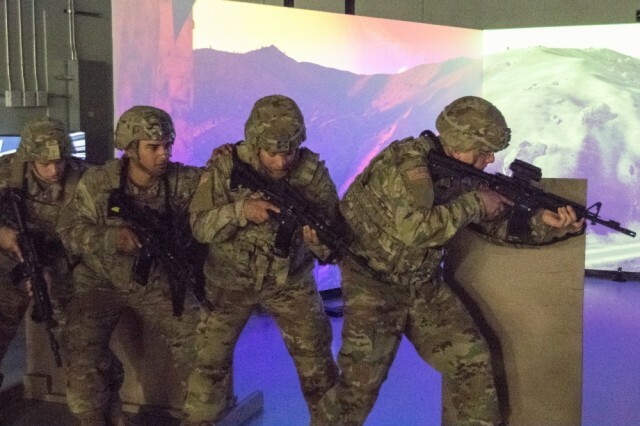 "In a five man team, you have different scenarios and on-screen characters that interact with you, such as civilians and enemy who respond differently though the training," said Pfc. Jacobs. At the end of the training, the Soldiers shared their thoughts on the SAM-T system. "I think everyone needs to go through it ... infantrymen, truck drivers, cooks, everyone, because at the end of the day you're a rifleman first," said Pfc. Blake Smith.